Swatches of Zoya Nana – Meet Her Here! Meet Zoya Nail Polish in Nana, a deep summer fuchsia in a full coverage and densely pigmented cream formula. She is perfectly creamy, ultra shiny, and gorgeous on every skin tone! She will look fabulous on your fingers as well as your toes to pair with your cutest Summer sandals! Below are swatches of Zoya Nana. We will be adding to this as more blogger swatches come in with a variety of skin tones! 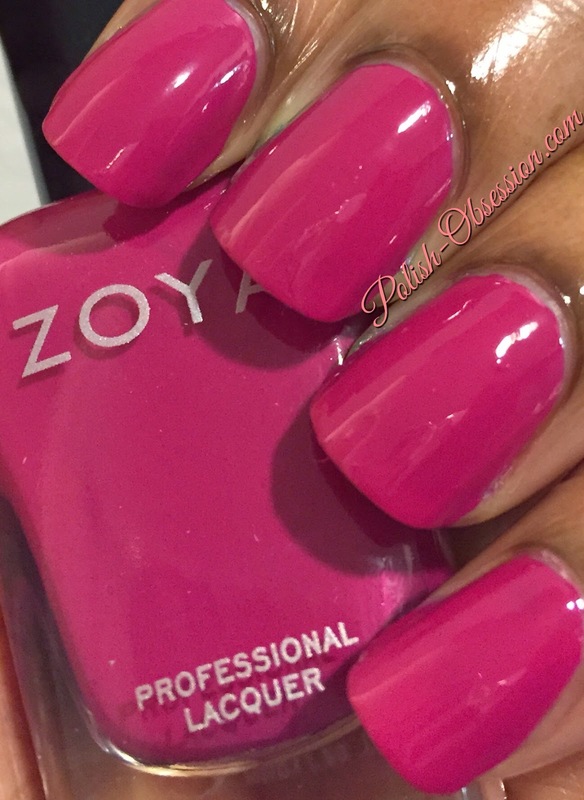 See more of Zoya Nana on her Shade Spotlight as more swatches come in! Be sure to see the full Island Fun collection if you fell in love with Nana!